When looking for places to stay in the city, Century Old Town Prague - MGallery by Sofitel is a traveler’s dream, as it is perfectly situated next to the Old Town Square, a starting point for exploring Prague’s Old Town, the Jewish Quarter, or the Wenceslas Square. 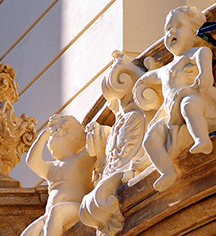 History lovers will appreciate the many historical architecture styles and details that surround the hotel and should make sure to look up and around to absorb the area’s beauty. Visit Prague’s Old Town Square to take in various architecture styles, such as the Prague Orloj, a medieval astronomical clock installed in 1410, and the Old Town Hall, where visitors can take in panoramic views of the city. The Old Town Square is a part of Prague’s UNESCO World Heritage Site. Walk around Wenceslas Square, one of Prague’s busiest areas and main squares. Located in Prague’s New Town, an area that was founded in 1348, Wenceslas square has seen many historic events, including demonstrations during the Prague Uprising in 1945 and the Velvet Revolution in 1989. The square is now a part of Prague’s UNESCO World Heritage Site. 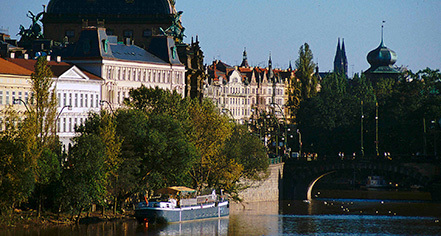 Head to Prague’s historic Jewish Quarter, the Josefov, to learn the history of its inhabitants. Originally a Jewish ghetto founded in the 12th century, this area features many historical buildings and is one of the best-preserved Jewish neighborhoods in all of Europe. Visit Prague Castle, one of the most important buildings in the city. Designated as a UNESCO World Heritage Site, the castle has been in existence for over 1,000 years, with the oldest part of the structure dating back to 870. Visitors to Prague will not want to miss this sight, as it is the largest ancient castle in the world and Prague’s most-visited tourist attraction. Cross the Charles Bridge, a historic, pedestrian-only bridge that spans the Vltava river and dates back to 1357. Built by King Charles IV, this bridge was the only bridge across the river until 1841, making it instrumental in creating a trade route between Eastern and Western Europe.